If you are searching for books like Divergent, we have them! Divergent is one of the best young adult dystopian book series I've ever read. Since you are here trying to find more you obviously think the same. Most of my friends read it and loved it. The funny thing is that I was really skeptical at the beginning and I thought it was just another Hunger Games wannabe trilogy. The reason for this was that a lot of books came out after Suzanne Collins' trilogy, all of them targeting the same audience. I thought it was not creative. However, I decided to give it a try, since my friends couldn't stop talking about it. I borrowed Divergent from one of them and one Friday night I decided to start reading it (Yeah, I spend most of my Friday nights reading books or watching movies... don't judge). I read it in two days! I loved it and I was obsessed with it. I read the other two books of the trilogy in the next two weeks. Update note: This post is updated on 12/31/2016. Since you absolutely loved it we decided to add more books. Enjoy! Of course, The Hunger Games trilogy. You read it, right? Most of the people got into that genre after reading Hunger Games, so if you haven't read it, you should definitely do it. No matter if you already watched the movie or not, the books are great. Delirium series by Lauren Oliver is similar to Divergent. The first book of the series is a NY Times bestseller. The plot takes us to United States in near future, where the love has been declared dangerous disease. The government forces everyone who reaches 18 years old to have a procedure called "The Cure". It's an amazing story about Lena, a simple girl living with her aunt and uncle, who's ready to be cured. The love destroyed her mother's life and she won't make the same mistake even if she had a choice. The things get interesting when she meets Alex. Brilliant story about love in a dystopian world. 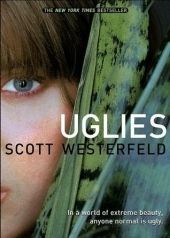 Uglies is definitely one of the best series that you can get if you are searching for books like Divergent. To me Uglies was just as good. You have a perfect high tech world created by the government where you don't need to work, you don't get sick, and the only thing that they want from you in order to enter this world is to be pretty. That's right, as soon as you turn 16 the government will offer you an operation that will turn you from ugly into amazingly beautiful. Who would refuse, right? It's a story about a girl that will choose to live outside in the dangerous world. The girl's name is Tally and she will learn about the dark secrets of that paradise world. There are three books of the series: Uglies, Pretties and Specials. This series is a bit different. It's written from two different viewpoints. The western United States is now The Republic. The Republic is at war with the neighbors. The plot follows the story of the 15 years old military prodigy June, born into one of the most wealthiest and elite districts, and another teenager - Day, who's one of the most wanted criminals in the country. It's an amazing trilogy. Of course can't be compared to Divergent and Hunger games but it's worth reading. I saw a lot of wonderful reviews about this series, so I was really excited when I got the hardcopies. The first two books of the trilogy are already released. The third one is expected to be published on May 13. Dust Lands is a story about Saba, who lives in a dusty wasteland with constant sandstorms. She and her family scavenge from landfills left by a dead civilization. One day her twin brother is kidnapped and that will be the beginning of an epic adventure to get him back. The books are written in a unique style. I liked it better than Divergent. Can't wait for the last part. 'The Selection' is a unique series. Someone described it as "Dystopian world meets 'The Bachelor' ". I haven't read it yet, but I saw a lot of positive reviews, so it's definitely on my list. 'Partials" is an amazing addition to the dystopian genre. There are much more sci-fi elements in this series and that's why I love it. I really love strong girls as main characters. No crying about boys, thinking over and over again about boys and plot mainly focused about dramas with boys... That's the reason I really don't like Twilight, but that's another story. 'Partials' is the perfect trilogy for me. Strong character and a great sci-fi dystopian plot. The plot takes us to a world where the human race is almost extinct after a war with engineered organic beings identical to humans called Partials. The people are only tens of thousands now, as only some of them are immune to a deadly virus used as a weapon. The main character is Kira, a 16 year old medic, who's in front lines of that war. She won't just sit and watch how the Partials kill her race. She makes a decision to save her people. If you are ready for a brilliant journey into the future, grab your copy. 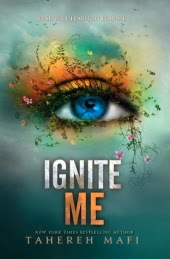 There are a lot of dystopian books like 'Divergent' but there are few that I think are better. 'Razorland' trilogy by Ann Aguirre is one of these. It's like a mix of 'Hunger Games', 'Divergent' and 'Fallout'. 'Razorland' takes you to destroyed by wars and plague New York in the near future. It's not safe for the people anymore, so they are forced to start living underground, where the life expectancy is no more than 20 years, plus the underground enclaves are attacked by tunnel monsters. Scary, huh? I love it! It's like 'Metro 2033'! The main characters are the hunters Deuce and her partner Fade. It's a story of two teenagers in a post-apocalyptic world, facing dangers and experiencing feelings like never before. An amazing trilogy! 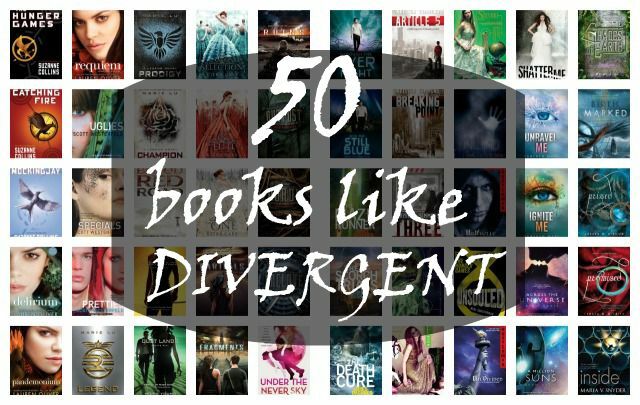 Here's another great series if you are searching for books like Divergent. It's another trilogy and the last book was released a month ago. The story is about Aria, a young woman who has been living in the protected dome of Reverie. The world outside is too dangerous so she would never leave the dome. One day her mother goes missing. That's the day when she has to leave and try to find her. She knows her mother's chances of surviving outer wasteland are slim. This is not strictly a dystopian series but more sci-fi post-apocalyptic. Highly recommend it! Here's another series for those of you who are searching for books like Divergent. It consist 3 book and all are published already so you don't have to wait. It's a story about Thomas, who wakes up in an elevator. He don't remember anything except his name. When the door of the elevator opens, he get's to an arena (similar to the one in Hunger Games, where Katniss needs to survive), where he sees other boys with memory loss like him. All of them need to survive. 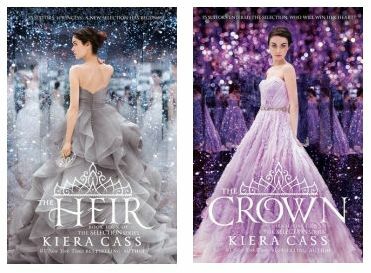 The series is very similar to Hunger Games. Okay, this one is less known but it's very good. The last books was published less than a month ago. The big cities of USA have been abandoned. There's no Bill of Rights anymore, it;s replaced with the Moral Statues. The police is replaced by soldiers. There are no more fines for bad behavior, instead there are trial and punishment. Noone hears anything about the people who gets arrested. The USA is dictatorship. The series follows the story of the 17 year old girl Ember, who's old enough to remember that the world was much different before, and her rebellious mother. Ember knows how to stay out of trouble but one day her mother is arrested. That's where her life changes. I like that kind of series because they seem too real. They are scary and can have a big impact on you. I loved 'Article 5'. Rhine Ellery is a 16 year old girl. She has only 4 years left to live. This genetic time bomb was created by the modern science. In an effort to create the perfect race, scientists screwed up and left all the males wit a lifespan of 25 years, and all the females with 20 years. Horrible, right? The idea of knowing exactly when you are gonna die terrifies me! I like this series because it has an unique plot. All the three books of the trilogy have already been published so you don't need to wait. 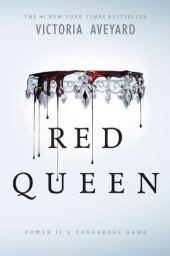 We spoke already about the Red Queen in our 25 Books to Read in Summer 2015 post. Not much changed after that, as Red Queen became one of the most famous books of the genre. Also the second part is already out, go check it. It's called Glass Sword. 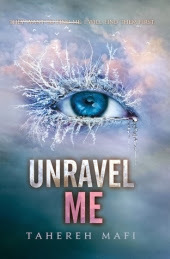 Victoria Aveyard is for sure and author you have to follow closely in the next years if you are a fan of the YA genre. 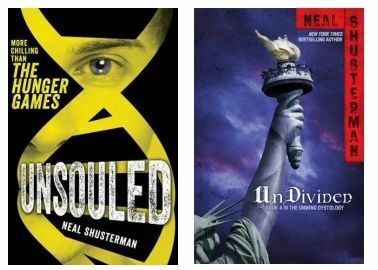 Skythe by Neal Shusterman is gaining popularity fast and we just couldn't leave it out. It was enough for us to just read the summary of the plot and we immediately ordered it. Imagine a world without hunger, disease, wars and a misery. A world where humans conquered even death. 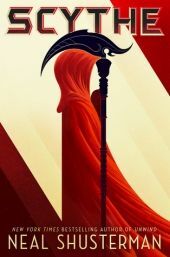 No one is dying from old age, but in order to keep the population from critically growing, the Scythes are the ones that have to do the dirty job. They are the only ones that can end life. Citra and Rowan are chosen to apprentice to a scythe. Neither of them want this role, as the are just teenagers. They must master the "art" of taking someone's life and if they fail theirs will be taken from them. 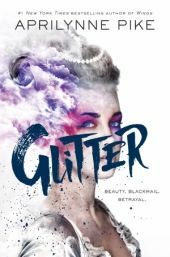 Glitter by the NY Times bestselling author Aprilynne Pike is one of the most unique books on our list. It's a mixture of historical fiction (although the plot takes place in the near future and dystopia). The citizens of Versailles live like it's 18th century and the future queen turns to drug dealing so she can save her own life. The sixteen years old Frost spent her entire life in an abandoned apartment building. The streets below are full of rogue robots and eaters that are hunting people. In her entire life she never met another human besides her own dad. She is even forbidden to go out and look for a medicine for her dying pet. The thing is, it's not even her own dad who's giving the orders. It's his memories. His consciousness that he uploaded to a robot servant before he died. The technology isn't working very well now and she's losing connection to him often. 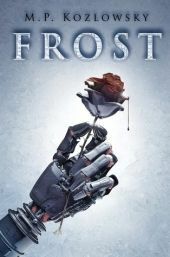 So when Frost learns that there's a medicine for her pet on the other side of the dangerous city, she decides to take the risk. With only her robot companion, she begins a dangerous journey to save the last living creature she loves. 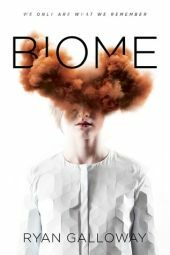 Biome by Ryan Galloway is a story about Lizzy Engram, a seventeen year old girl who's sent to Mars Colony One, where her job and that to a lot of other people like her is to make the Red Planet habitable. Every Sunday the workers memory is erased. Week by week the procedure is the same, workers work every day and their memory is erased at the end of the week. That's until one morning when Lizzy wakes up with all her old memories and the memories of every cadet on the planet. Now with all the information in her head she's eager to find what are the doctors hiding. Everyone who's searching for books like Divergent and books like Hunger Games will absolutely love The Gender Game by Bella Forrest. 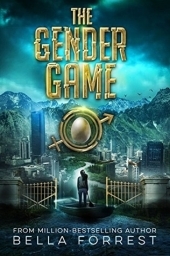 In a world where women rule the East and men rule the West, only the strongest gender will survive. This is the first book of what we expect to be a memorable dystopian series. Funny black humor read. It's something we all secretly wanted to do with the contestants in the Bachelor... No? It's just me then... Put them in an island and watch them fight for survival... I am kidding. I wouldn't do this even to the twins from the Ben Higgins' season. Spoiler alert: Annoyance level 100! In Beauty Queens you have 13 beauty contestants who's plane crashed in a remote island. They struggle to get along with each other and survive, while fighting the island's occupants and try to learn their dance numbers in case someone saves them just in time for the competition. Hilarious! For Hunger Games and Divergent fans with a sense of humor. 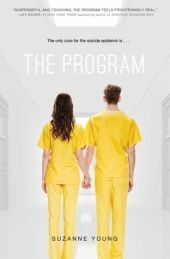 The Program by Suzanne Young introduces us to a world where teen suicide is an epidemic and showing feelings is forbidden. The only solution to save them is The Program. The Program is the one proven treatment course. Sloane's parents already lost one child and they will do anything to protect her. They knows that this course treats everyone but people return blank. Their depression is gone but also their memories. One of the best dystopian series that you gonna see on this list. 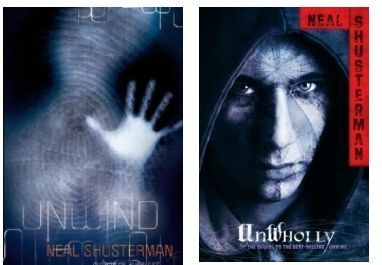 'Unwind Dystology' by Neal Shusterman is brilliant! It's raw, scary, even disturbing. I loved it because it was very realistic. The story takes us to USA after the Second Civil War. The war was fought over reproductive right. The conclusion: the life is inviolable from the moment of conception until age 13. Between the ages of 13 and 18, parents can have their children "unwound", where their organs will be transplanted into different donors and in that way life doesn't end. Amazing series! However, have in mind that it's much more disturbing than 'Divergent'. 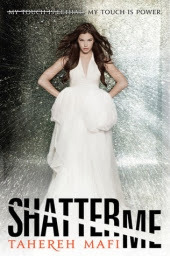 Juliette is 17 year old girl, who has been thrown in prison because of her dangerous powers that she cannot control. Her touch is fatal. No one knows why, and people don't bother investigating as long as she isn't a threat. The world is too busy to pay attention to some strange case of some 17 year old girl. Meanwhile diseases and hunger are destroying the society. Juliette has to choose to be a weapon or to be a warrior. 17 year old Amy and her parents travel with the spaceship Godspeed as a frozen cargo. They are expected to be awaken on a new planet 300 years in the future. She is awaken 50 years earlier. Her awakening wasn't a computer error. Someone of the few thousand inhabitants of the spaceship is trying to kill her. If she doesn't do something fast, her parents will be next. Amy tries to unlock Godspeed's hidden secrets. It's a spaceship that lives by its own rules. Dystopian sci-fi! It's unnecessary to say that I loved it! 'Birthmarked' series by Caragh M. O'Brien is brilliant. It's exactly why I love the dystopian books. In the near future the Earth is almost destroyed by the Sun. Most of the people live inside a walled Enclave but there are also some, like the 16 year old Gaia, who live outside. She follow her mother's steps, delivering babies in the world outside the Enclave, trying to meet the quota that will allow her to the privileged society of the Enclave. One day her parents get arrested by the same people, she's serving to. Now Gaia questioning everything she has been taught. But she has no choice but to enter the Enclave and save her parents, or die trying. 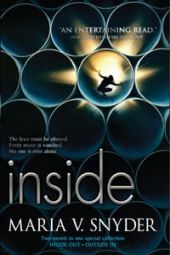 'Inside' by Maria V. Snyder is a story about Trella, The Queen of The Pipes as they call her, in a dystopian world, where people are divide and live in different levels. She works in the lower levels, keeping clean the pipes for the Uppers. One day she accidentally starts a rebellion and becomes a leader of a revolution. I couldn't put this book down. It was unique and addicting. I am a big fan of Snyder. She is a brilliant storyteller. You probably already know her from the Magic Study series. The plot of 'Inside' really surprised me. Give it a try! If you like dystopian books, you are gonna love this one. P.S. You can also check my Books like 50 Shades of Grey article. The across the universe series is my favourite! I loved it! I also like The chemical Garden trilogy and need to pick up unwind! has been on my tbr list forever! I've read most of these series, so good! Great list!! I would add The Matched Trilogy by Ally Condie to it! Anna, you rock. This is just what I was looking for. Going to bookmark it and refer back. Elsker dette! Anna. You are fabulous. You are a life saver. I was afraid of which books to read after divergent an now...well needless to say I've got my answer. I would add The Matched Trilogy, The Grisha Series. They're amazing tooooo!!!! I think you should add Matched trilogy to your reading list. Matched, Crossed and Reached by Allie Condie. Great list. A must read is Mortal Instrument series starting with City of Bones & Clockwork Series (which is set at a time before the Mortal Instrument). Rebel and reboot by Amy tinterra are amazing. They are right up on the list with the divergent series.